Providing professional advice on all property matters. 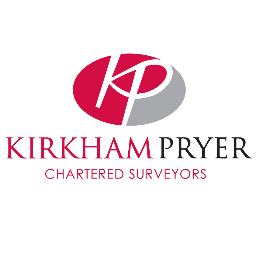 Kirkham Pryer offer a comprehensive pre-purchase & acquisition survey & valuation service. Inspections are carried out by experienced Chartered Building Surveyors. The surveys offer the assurance that the property you are intending to purchase, is to the anticipated standard, free from significant defects and offered at an appropriate price. Our technical knowledge of property and construction means we are well placed to help with all aspects of your building project. Kirkham Pryer offer a design service, producing CAD drawings suitable for Planning Application, Building Regulation and tendering purposes. We work closely with you to ensure the outcome closely matches your aspirations for your property. Kirkham Pryer offer advice for any property which is subject to a commercial lease. Whether you are the landlord or tenant, we can offer assistance with providing a schedule of condition prior to a tenancy, and a schedule of dilapidations as a lease comes towards an end, entering into negotiations regarding the condition of the property and cost of repairs to achieve a settlement to best suit your requirements. Kirkham Pryer’s knowledge and expertise enables an objective & technically accurate appraisal of construction disputes, with detailed analysis & reporting, suitable for Solicitors to pursue when appropriate. Kirkham Pryer regularly act as Party Wall Surveyors for either Building Owners wishing to carry out works in proximity to neighbouring property, or Adjoining Owners that may be affected by such works. We have the expertise to comply with the required legislation whilst keeping good relations between all parties through to completion, enabling the works to proceed, often to the benefit of both parties. Kirkham Pryer are regularly involved with refurbishment of both Commercial and Residential properties. We prepare a detailed specification of works , suitable for invite to tender, whilst obtaining all necessary statutory approvals such as Planning Permission, Listed Building Consent and Building Regulations. We the project manage the works on site to ensure cost and time are managed and quality is to the required standard. Kirkham Pryer have been providing a professional, dependable and quality service since 1987. Chris Pryer having recently retired, Bob Hill and John Bevan, both Chartered Building Surveyors, head a team operating from its town centre office in Rodney Road, Cheltenham. An independent practice that enjoys an excellent local reputation, acknowledged by clients and fellow professionals, dealing with the full range of property matters. With many years experience in building surveying, the team at Kirkham Pryer offer a balanced blend of tradition with modern practice and technology.